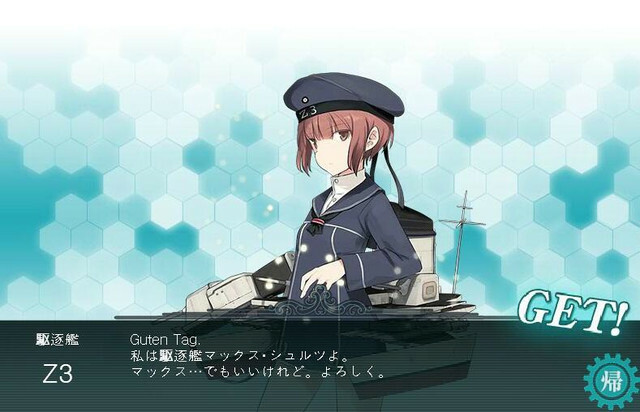 At the center of the Kantai Collection (KanColle) phenomenon is Kadokawa Games' Free-To-Play browser game starring historic war ships anthromophized as cute girls. 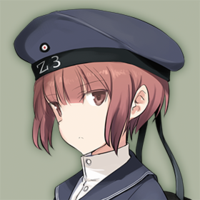 On September 11, 2013 it added its first non-Japanese vessel with Soviet destroyer Verniy. 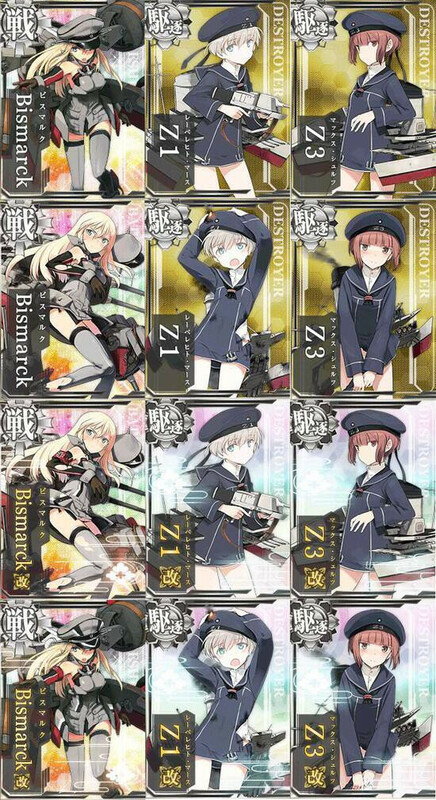 Now, three more foreign ships have joined the collection with the new addition of the German battleship Bismarck (#171), Destroyer Z1 (Leberecht Maass) and Destroyer Z3 (Max Schultz). 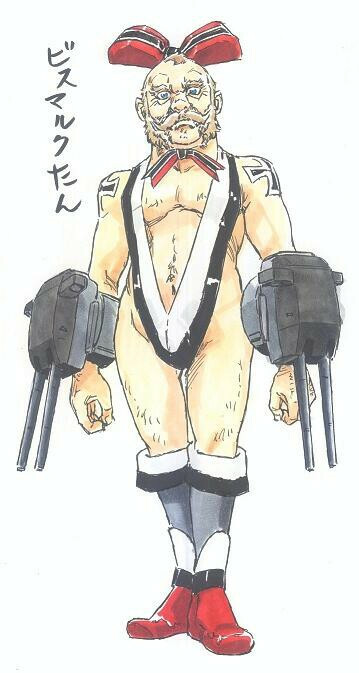 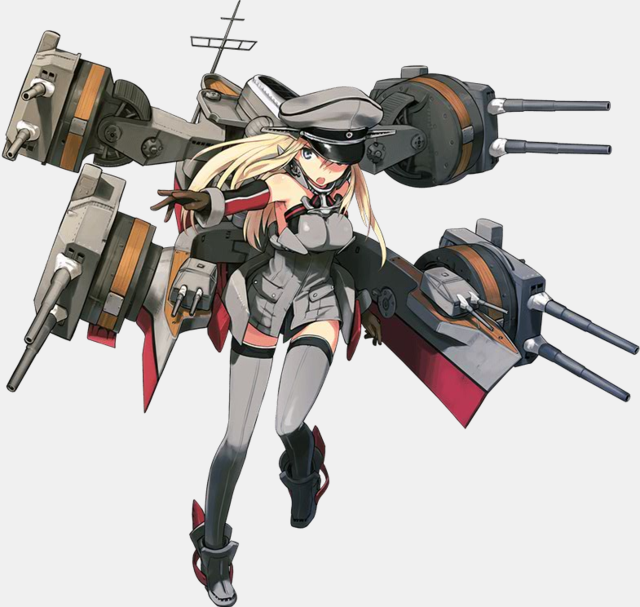 Moyashimon author Masayuki Ishikawa jokingly suggested an alternative Bismarck design last December.